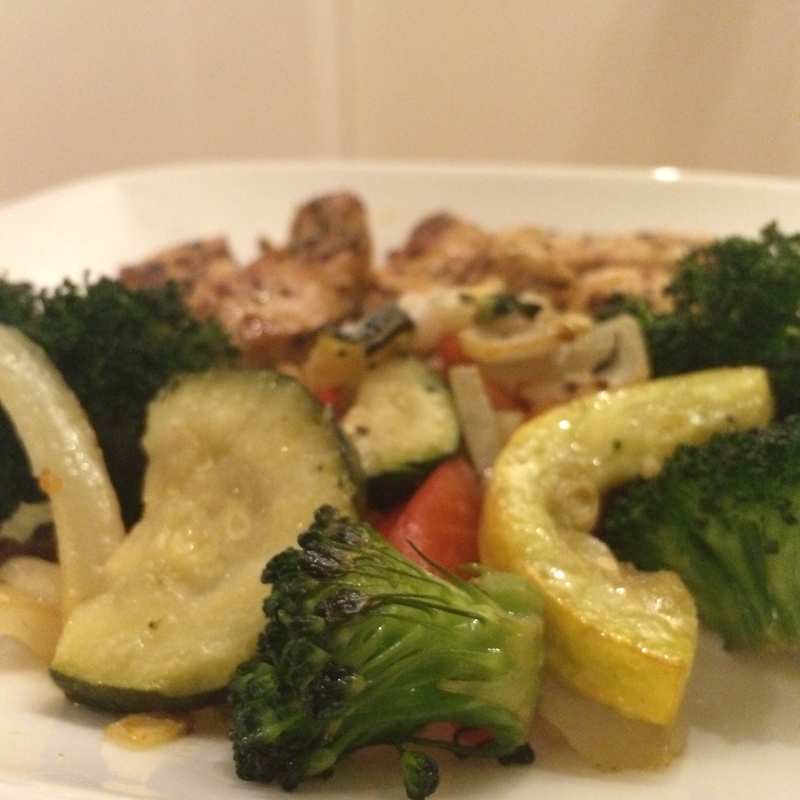 This is an incredibly easy and fun meal to make! You need a food processor (I used a magic bullet) for the cauliflower, but everything else it pretty basic. 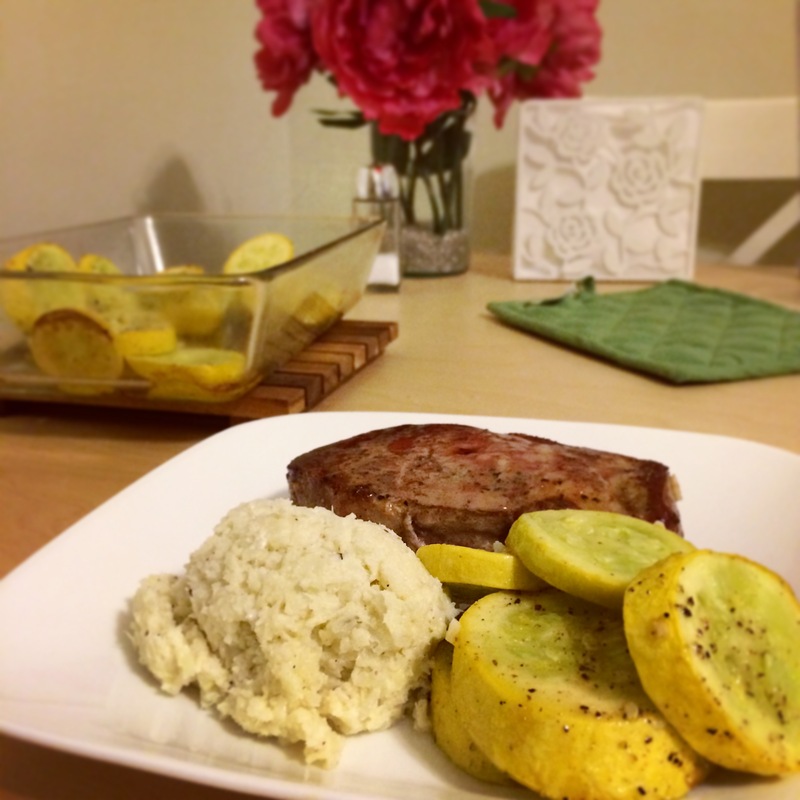 If you are trying to time your meal, start with the summer squash and cauliflower mash and then move on to the pork chops when once the cauliflower is cooked. 2. Prep your summer squash one of two ways: spears or disks. Place in a zip lock bag and toss with olive oil, salt, pepper and any other seasoning you desire (I used cayenne and minced garlic). 4. Bake on top shelf for for 35-40 minutes. 1. Boil a pot of water over high heat. 2. Cook cauliflower for about 5 minutes or until soft. 3. Drain the cauliflower and add to your food processor or immersion blender. 4. Puree your mash with freshly minced garlic, 2 tbsp of margarine, 2 tbsp of cream cheese and a little milk if you have in on hand. 5. Place in serving bowl and mix in salt and pepper to taste. Top with a little grated Parmesan or chives for extra taste and flair! 1. Preheat oven to 400 with an oven safe pan inside. 3. Flip the pork chops and place in oven and cook for 10 minutes or until the internal temperature reaches 145 degrees. 4. Rest your pork chops! Place the porkchops on your serving platter and pour juices over. Let sit for 3-5 minutes. 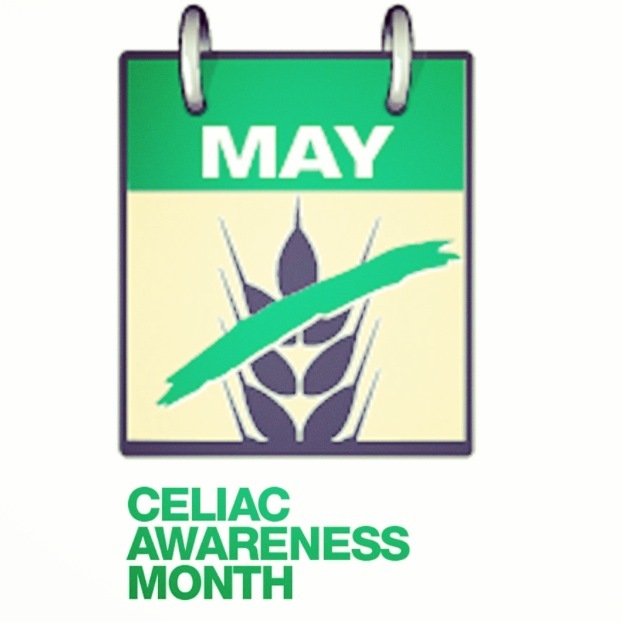 Happy Celiac Awareness month, everyone! 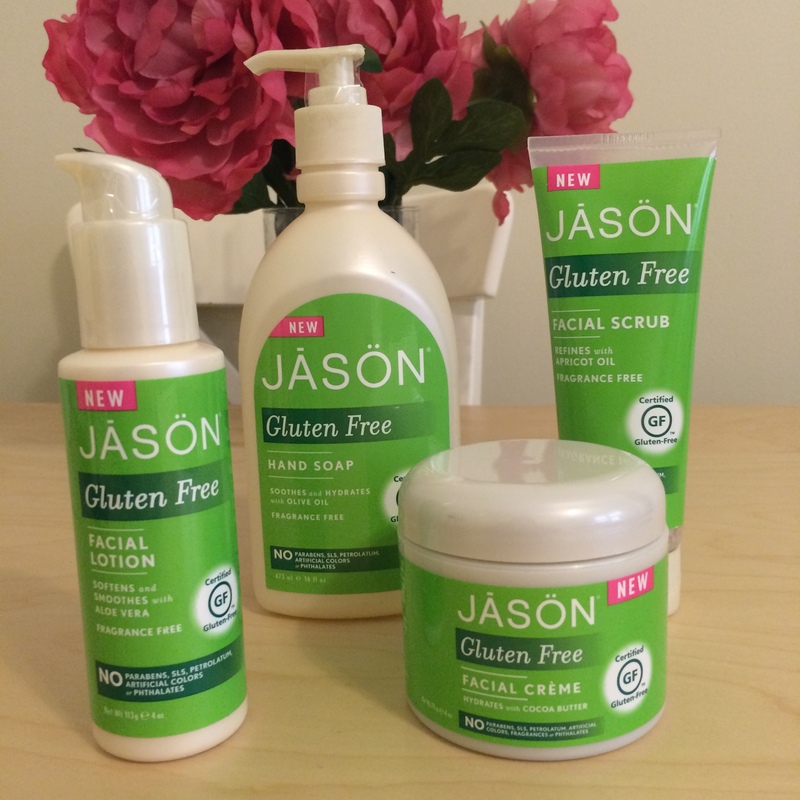 In honor of the month and the amazing work done by the National Foundation for Celiac Awareness, I decided to go the extra gluten-free-mile and swap out my normal line of personal care products for two new gluten-free personal care lines–one from JĀSÖN and the other from Avalon Organics! 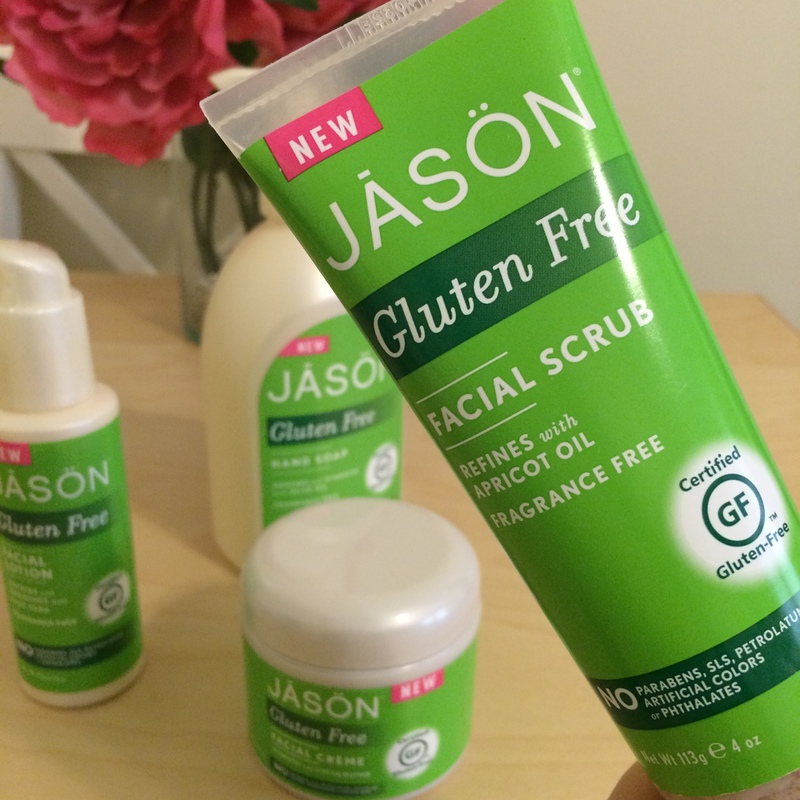 JĀSÖN has quite an extensive line of personal care products that are certified gluten-free. I’ve only tried four, but what I really like about these products is that they are not only gluten free, but also organic, artificial color and fragrance free, hypoallergenic and work for all skin types (including oily)! I LOVE this facial scrub. It reminds me of a salt or oatmeal scrub in texture, but is just gentle enough to use every day! It took off all of my makeup and left my face feeling incredibly smooth. You can also use it on other parts of your body in need of exfoliation! 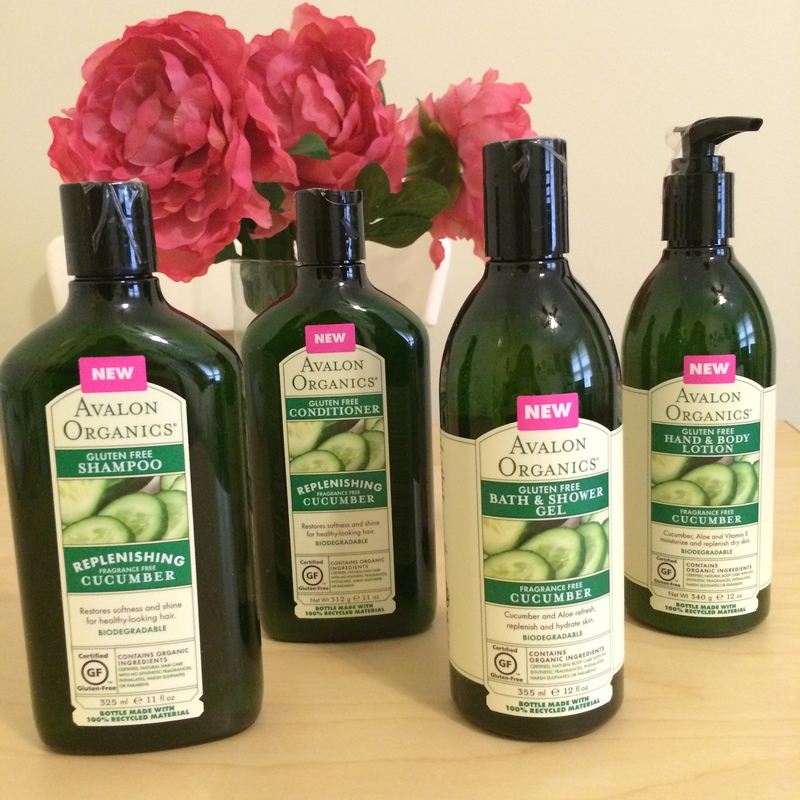 As you may be able guess based on the name of the company, Avalon Organics has a commitment and dedication to using organic ingredients in their personal care lines. Luckily for us, they recently extended their line to include an organic, biodegradable and fragrance free “Gluten Free Body Collection,” which features cucumber shampoo, conditioner, bath and shower gel, and hand and body lotion. 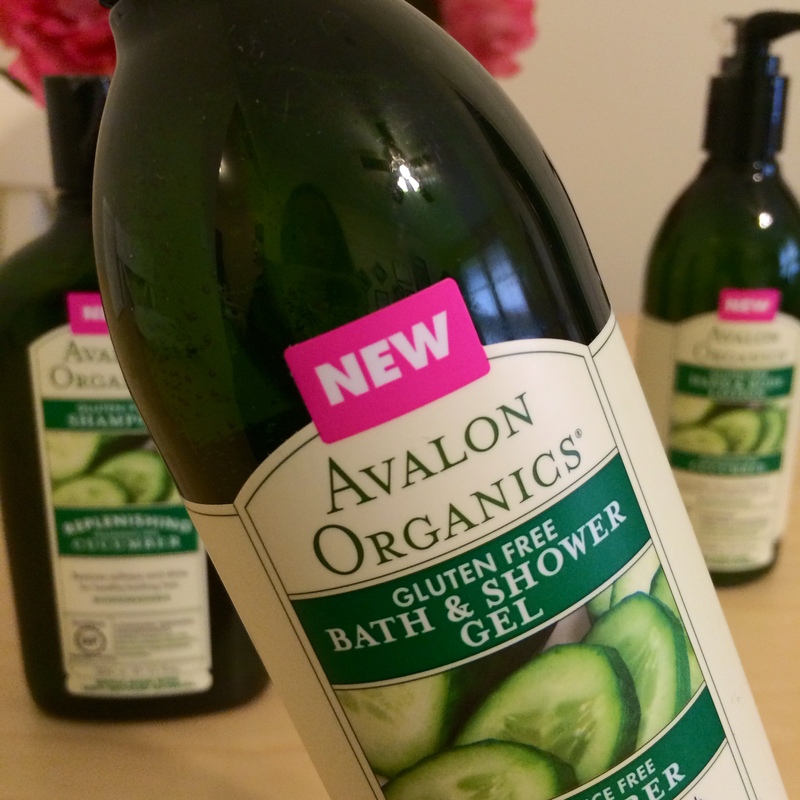 My favorite product from this trial was, no question, the GLUTEN FREE CUCUMBER Bath & Shower Gel. I love how much the gel “suds up” when I put it on my loufa. I was a little skeptical about the fragrance free experience, but I actually really enjoyed it! I think I’m going to swap out my normal fruity body wash for this fragrance free one permanently…. Overall I had a great experience swapping out my personal care line! I truly believe that all of the products above are amazing options for those who would like to extend their gluten free lifestyle, especially for those who have DH or fragrance sensitivities. Celiac disease is a genetically based autoimmune disease that is triggered by the ingestion of gluten – a protein found in wheat, barley and rye. An estimated 1 in 133 Americans has celiac disease, yet 83% are either undiagnosed or misdiagnosed. 6-10 years is the average time a person waits to be diagnosed. Celiac disease is a hereditary condition, meaning that it runs in families. 5-22% of people with celiac disease have an immediate family member who also has the autoimmune disease. When a person with celiac disease eats gluten, it sets off an immune reaction that damages the villi (fingerlike projections) in the intestine and interferes with the absorption of nutrients. There is no pharmaceutical cure for celiac disease. The only treatment is a strict, lifelong gluten-free diet. There is a topical form of Celiac Disease known as Dermatitis Herpetiformis DH, which can cause an itchy rash. I stumbled upon this recipe on Instagram and instantly high-tailed it to the nearest grocery store to buy ingredients. …And let me just say, yes, it does taste as good as it looks. This gluten-free alternative to cheesy garlic breadsticks is absolutely delicious and I’m so happy to share it with you! Enjoy the Cheesy Cauliflower Breadstick goodness and let me know what you think! 1) Preheat oven to 425 and prep 1 large baking sheet with a non-stick cooking spray. 2) Chop your cauliflower into florets and add to your food processor. Pulse until it resembles rice. 3) Put your cauliflower in a microwave safe dish with a lid, and microwave for 5 minutes. 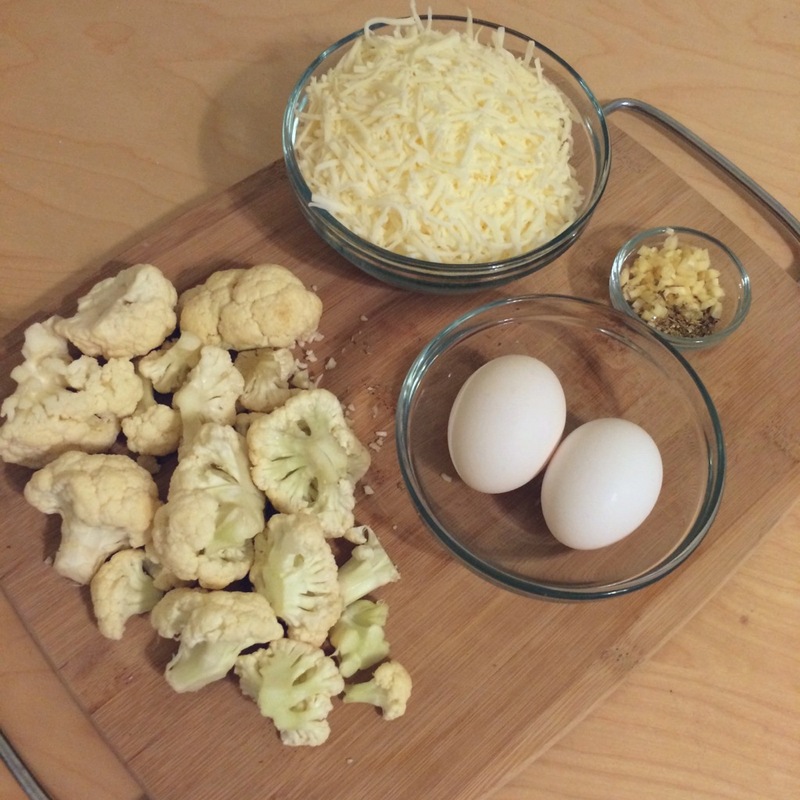 4) In a large bowl, combine cooked cauliflower, 2 eggs, 1 c mozzarella, fresh minced garlic and oregano. Mix well. 5) Place mixture on baking sheet and form into a rectangle. 6) Bake the crust (no toppings!) for 25 minutes or until golden brown. 7) Drizzle a little olive oil (if desired) and sprinkle the remaining mozzarella cheese on top. Bake an additional 10-15 minutes. 8) Serve by itself or with warm marinara sauce for dipping! 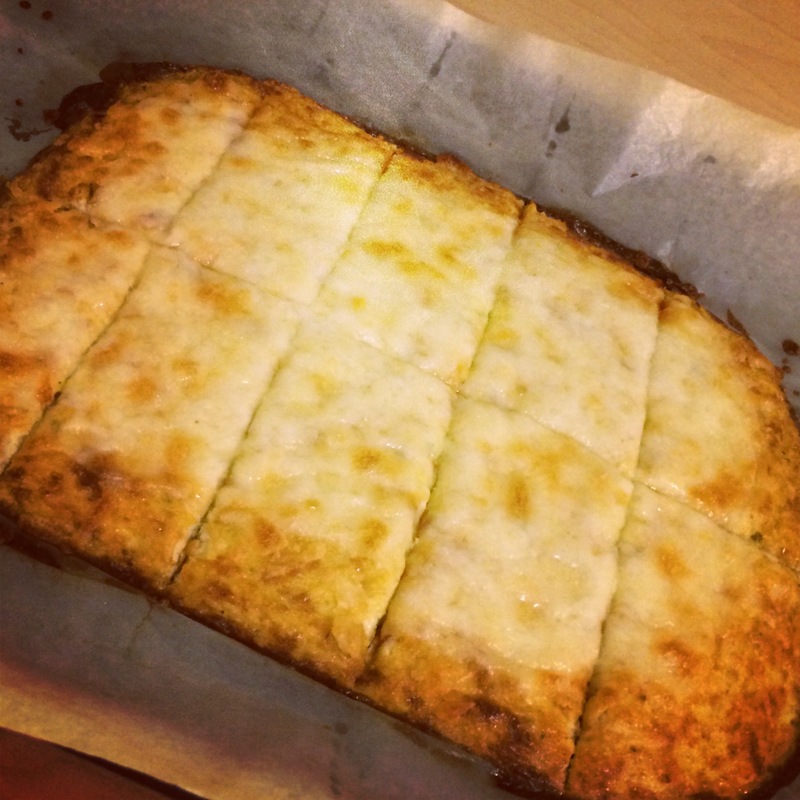 See below for the 4 stages of cheesy, galic-y, wheat-free delicious cauliflower breadsticks! It seems like we may just skip over Spring this May, so in honor of the impending summer, I decided to make homemade lemonade! I like to make my lemonade “fair style,” so it’s quick, sweet, clean and delicious. 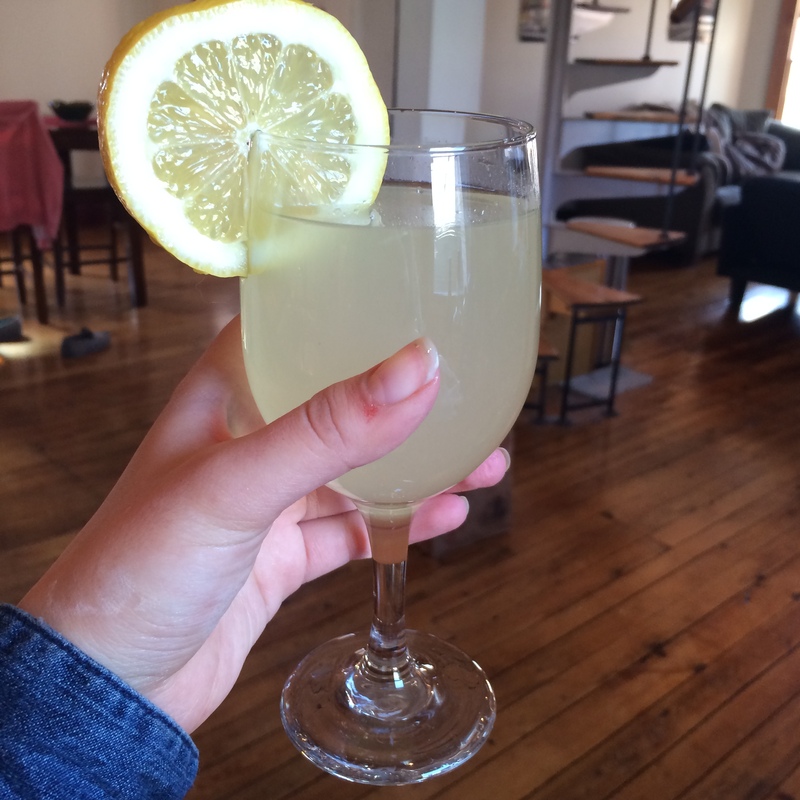 Here is my simple homemade lemonade recipe! The great thing about homemade lemonade is that you can adjust the sugar and lemons to create your personal perfect lemonade–whether that’s sweet or tart! 1. Make your simple syrup by heating the sugar and water in a saucepan. 2. Juice 4-5 lemons while you wait for the sugar to dissolve. 3. Combine the simple syrup and lemon juice in a pitcher over ice. 4. Add 3 to 4 cups of additional cold water and more sugar or lemon juice to taste (if desired). 5. Garnish with a lemon slice! Roasted vegetables are not only a great compliment to any gluten free meal, but also a healthy side choice, packed with natural nutrients! Making roasted vegetables at home provides fun chance to explore flavor combinations on a small scale. One of my favorite things about roasted veggies is that you can select and season them to perfectly pair with whatever dish you are serving. Below I have included ingredients and “how to make” directions for this naturally gluten-free side dish. Enjoy! Select a mix of roast-able veggies that you like. 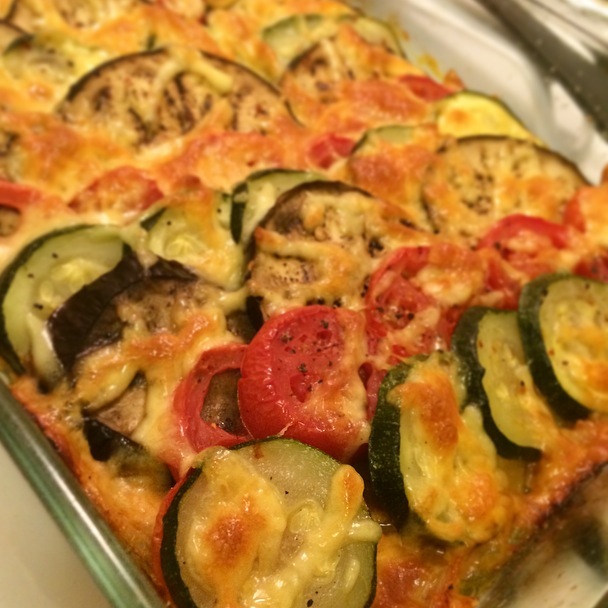 Options include, onions, carrots, zucchini, eggplant, potato, tomatoes, peppers and mushrooms. The flavor-enhancers of your choice: fresh garlic, sea salt, pepper, red pepper flakes, sage, thyme, rosemary, wild fennel… All depends on your mood and what you decide to serve the roast vegetables with! 2. Chop up your favorites vegetables in even pieces. 3. 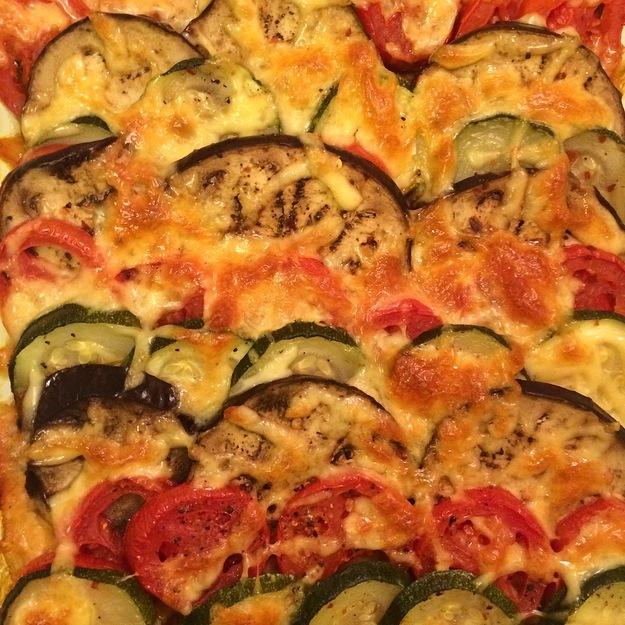 Toss or drizzle vegetables with olive oil and arrange on a cookie sheet. 4. Add any other seasoning you may desire, like salt, pepper or red pepper flakes. 5) Roast your vegetables at the top of the oven. After 15 minutes, check and turn your veggies over. Once they are brown and tender, they are ready to eat!